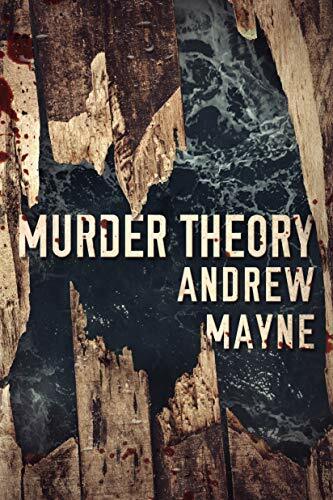 The crime mystery and thriller genres are full of protagonists who claim they will go to any lengths to stop a killer, but computation biologist Dr. Theo Cray will give them all a run for their money in this totally insane and off-the-wall third volume of Andrew Mayne’s Naturalist series. Once more our hero is on the trail of a serial killer, but this time, he may have met his match. You might even say that Theo is hunting for a dark version of himself, a difficult quandary that forces him to confront some uncomfortable truths about his own psyche. Shortly after the events of Looking Glass, Theo has resumed his work on top secret projects for the government. However, the repercussions of his last investigation haunt him still. One day, he is approached by an FBI agent whose colleagues had been working on the site of where Theo had tracked down his last target, which was also where the murderer had buried all his victims’ remains. Now two of the agents are dead, and a third one is missing, presumably having gone on the run after killing the others. But when they catch the suspect, the man appears in shock with no memory of what happened. His erratic behavior, and the fact that those closest to him say they can’t even recognize him as the same person they once knew, led to MRI scans of his brain. And the results are terrifying. Now Dr. Cray finds himself faced with the prospect of a literal mad scientist who is using their vast genius and knowledge to kill. Whoever it is, they’re also an expert in virology and pathological behavior, as well as a master at concealing their identity and not getting caught. And, Theo fears but is loath to admit, they might even be smarter than him. Our protagonist has always been a driven man, motivated by problems to solve because they allow him to design models and exercise his intelligence, not to mention his work also saves lives and puts murderers out of commission. This time though, his ego is also a major driving force, and while he may be cognizant of the fact, his competitive streak stills gets him into all kinds of trouble. Of course, Theo being Theo, he’s no stranger to trouble, and half the fun of these books is watching him try to mentally MacGyver himself out of some super tight spots. Things do take a slightly dark turn though, as Theo is pushed to the limits. Our boy takes vigilantism to a whole other level in this one, and if you thought his law-flouting and risk-taking was extreme in the previous books, just wait ‘til you see what he does here. There’s a lot I love about this series, including the thrilling action and fascinating science, but a big part of the enjoyment is also in watching the main character grow over time. In The Naturalist, Theo was a fledgling serial-killer hunter whose naivete was a weakness that almost became the death of him. As a result, he hardened his heart in Looking Glass and welcomed the darkness. By the end of Murder Theory, however, we may be witnessing another change in Theo as he realizes he may have taken things a little too far and that his by-any-means-necessary attitude might be swiftly leading him down a dangerous path. For this reason, I highly recommend starting the series from the beginning, though one could probably get away with reading Murder Theory as a standalone. A thing to note is that the book does make many references to Theo’s past investigations, in essence forming a thematic link between the serial murder cases in each book that only someone familiar with all three can fully appreciate. Plus, these books are just so much fun, it would be a shame to miss any of it by jumping in at a later point. I continue to be impressed by the scientific aspects, as well as Theo’s knack for spotting patterns in the data. Mayne’s storytelling is also once again on full throttle in this fast-paced no-stops thrill ride boosted with plenty of humor and straight up crazy twists. That said, Murder Theory probably wasn’t my favorite of the series (an honor that still belongs to Looking Glass) due to a couple minor faults. One, I found the early parts too heavy on the scientific jargon. Two, this book didn’t make me laugh nearly as much as the previous ones did! I guess I’m just going to chalk it up to the darker, more macabre direction of the story. And three, though technically this isn’t a real criticism, I found it way too short. Talk about leaving me wanting more; this was a book hangover that hit me even before I could finish! It’s no exaggeration when I say I would have happily gone for another hundred pages or two following Theo on his pursuit of the killer, and I was practically distraught when the book ended, because damn, that last line! What more can I say, but I just loved this. I love this series. I love Theo Cray. Yes, things can get a little bonkers sometimes, but that’s what makes these books so amazing. Every time I pick up something with Andrew Mayne’s name on the cover, I know I’ll be in for a hell of a good time, and he hasn’t let me down yet. Can’t wait for the next one. It is SO GOOD. Hope you enjoy The Naturalist! At the beginning, got it! Definitely start from book 1. Worth it. I’m just loving this series. This one wasn’t my favourite of the bunch either but it’s still so good and definitely takes a darker tone and has Theo actually reflecting a little on his actions. – and damn. that finish! Yes, even when the book is not my favorite of the series, it is still so good! I’ve only heard really good things about this series and while I’ve never really considered picking them up, your review does have me curious. Great thoughts and the fact that the third book can get such a high rating must indicate that the series is pretty strong. All the books have been brilliant so far, I can’t be more pleased! I’m so excited to start this. I’m in the mood for some over the top Theo action! It’s so great to find a good thriller like that! It really is, these books are so good! Great review! And yes, the vigilantism you allude to, whoa!!!! I just picked up the audiobook of The Naturalist – can’t wait to check out this series!! This sounds like a really interesting series, glad you’re enjoying it so much! OK, I got to pick me up these books – they sound so cool! Awesome review!